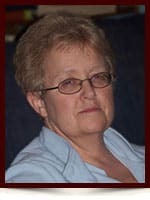 Barbara (Walker) Jama - Edmonton's Burial & Cremation Professionals | Trinity Funeral Home Ltd. It is with deep sadness that we announce the sudden passing of Barbara (Walker) Jama. Barbara was born and raised in Welland, Ontario as the beloved daughter of Harold and Gloria Walker and dear sister of Robert and Deborah. In her early twenties, Barbara moved to Edmonton, Alberta where she met her loving husband of 28 years, Mohamoud Jama and became the proud mother of three sons Collin, Mark, and Jason. Barbara possessed many strengths and endearing qualities, however it was her compassion and love for her family and friends (pets included) that will be cherished in our memories forever. In lieu of flowers, donations can be made to The Breast Cancer Foundation in Barbara’s name. So sorry to hear of Barb’s passing. Please accept my family’s condolences during this difficult time. May you you find comfort in your many memories. Thinking of you, Sandie and family. I am so sorry to hear of Barb’s passing. We went to high school together and were roommates for our medical laboratory program’s first year (many long nights studying together) and then did our clinical year together at the Welland hospital. My deepest sympathy and prayers go out to her family. Deb, Rob and Jama family, I am so sorry to here of your loss. I grew up with Barb aka Bird throughout our high school years. She was one of my dearest friends. I spent most of my summers In the back room of her house. We worked, went to school and spent every weekend together. I can still here her laugh. My condolences to the family. May she fly with the Angels. Sorry to hear of Barbs passing. Our family’s were close growing up. So sorry to hear of Barbars’s passing. I met her working at Sobeys Beaumaris. She was always smiling and laughing, even through all her hard ships. She will be sorely missed. My condolences to all her family and friends. So very sorry to hear of Barbara’s passing. She was a neighbor and friend growing up on Aqueduct St. Good memories. My condolences to Rob, Deb and the Jama family. I am so sorry to hear about the loss of Barb. We were highschool friends in Welland and lived down Aqueduct St. (Nancy B, Mary Jane H, Joni P and Barb W). We used to hang out in her back room and disco dance and listen to music. My condolences to her family and friends.